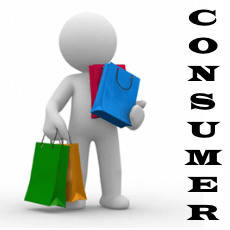 Classification of Consumers on basis of Characteristics | How to deal? How to deal with Argumentative Type Consumers? How to deal with Shy Type Consumers? How to deal with silent type consumers? How to deal with talkative type consumers? How to deal with suspicious type consumers? How to deal with friendly type consumers? How to deal with hesitant type consumers? How to deal with impatient type consumers? How to deal with sarcastic type consumers? How to deal with pompous type consumer? How to deal with ill-mannered or rude type consumer? How to deal with handicapped type consumer? 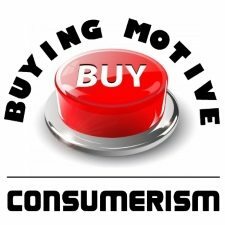 How to deal with impulsive type consumer? How to deal with Group Shoppers? Customers may be classified on the basis of their characteristics. It is one of the most important classifications of consumers available for a salesman. By observing the behavior and peculiarities of a prospect, a salesman is able to deal with him more efficiently. A Salesman can change his sales talk to get favorable results. However, it is interesting to note that not only the behavior of customers vary from one person to another but the behavior of a single customer also changes from time to time. For example, a person may be happy in the morning and not so in the evening. On the basis of their behavior, the customers may be classified into various types. Some customers by nature are argumentative. They take pleasure in finding faults with the goods and the salesmen. In fact, they find faults with everyone and regard themselves as the most intelligent person. They have no patience to hear the salesman. Rather, they argue with the salesman without any reason. Argumentative type consumers are likely to be emotional. Even a small mistake of the salesman makes them irritated. Some of them are clever and intelligent and are well informed about the product. Argumentative type consumers always compare the prices at different stores and purchase the quality goods at a comparatively cheaper price. They buy costly things only when the salesman justifies the price. While dealing with argumentative type of customers, the salesman must be very tactful. The salesman must remain calm while dealing with such customers. At appropriate time, he has to remain silent and should present facts tactfully. He must have a lot of patience to listen to the customers and offer explanations. Argumentative type customers must be given enough scope to argue because by arguing they show their intelligence. At no point of time, the salesman should lose his temperament because once he loses his cool, he loses the sale too. If the customers are right at some aspect, they must be appreciated for that. Further, the salesman should never try to counter argue with such type of customers. ‘The customer is always right‘ should be his principle under any circumstances. He should try his best to please such customers by his words and flattery. Shy type customers are generally nervous and lack experience in purchasing goods. Therefore, they remain silent and avoid unnecessary talks. They are the easy type of customers that can be tackled by the salesman. They usually take quick decisions in purchasing articles. They do not like to criticize others and also do not like to be criticized by others. Because of their nature, they do not express their dissatisfaction. If they are dissatisfied with the product or the salesman or the store, they never express it. They simply discontinue purchasing from that shop. This indicates their sensitiveness. They are generally very polite and conscious about self respect. Naturally, the salesman finds it easy to deal with such customers. He should not neglect such customers. These customers should be given best services and unnecessary conversation should be avoided. Only specific questions should be asked and limited suggestions made. They should be given wise advice and best service so that they come to the shop regularly. The salesman should be friendly and polite in his behavior while dealing with such type of customers. However, the salesman should never try to dictate over such customers. Rather he should suggest things tactfully and nicely. Silent type consumers are one of the most difficult types of customers to deal with. These customers are always calm and inactive and do not speak much. The salesman cannot know what is going on in the minds of silent customers. It becomes difficult to find out their reactions. Silent type customer remain silent by their very nature. Though they are, referred as mild or sober, their product knowledge is appreciable. Silent customers generally have self confidence and, therefore, they make their own judgement. They do not like to waste their valuable time in talking with the salesman. They just sit listening to the salesman, saying nothing. But it is difficult to estimate their reactions as they observe silence. A salesman finds it difficult to deal with silent customer. Only through continuous efforts by the salesman, these customers speak. The salesman should try to make them talk by asking certain questions like “May I help?” “What can I do for you?“, etc. Here, the salesman plays a secondary role by giving much importance to the feelings of the customers. These customers should be treated with dignity and respect. The salesman should not be irritated because of the customer’s silence. He also must not develop fear-complex due to the customer’s silence. This type of customers are generally, impressed by facts. They should be offered proof of benefits and value for purchasing the product. Talkative type of customers are just the opposite of silent type of customers and are quite easy to handle. As the name implies, they are very talkative and not good listeners. They generally go on talking endlessly unless there is some obstruction. They talk on any subject. These customers think they are intelligent and informed, even though it may not be so. They generally do not allow the salesman to talk about the product. If the salesman is not careful, he may return empty-handed without selling anything to such customers. While dealing with talkative customers the salesman should allow them some time to talk. Then tactfully he should try to cut them short by drawing their attention towards the product. Patient hearing and tactful handling can help a salesman to deal with such buyers. The salesman need not talk in detail about the selling points of a product because the talkative customers are either not interested or do not have the patience to listen to lengthy selling talks. Short and sweet sales talk motivates them. The salesman should mix words of flattery to please them. This type of customer is otherwise known as the disbelieving type. These customers generally do not believe the statements made by the salesman nor the genuineness of the products. They always opine that the salesman is trying to trap them by his sweet talks to make them buy inferior goods. Suspicious type customers allege that all salesmen mislead customers. In short, they are always critical and even unfriendly. It is quite difficult to convince these customers because they never believe others. They cross examine the salesman with several questions in order to subdue him. At times they also insult him. Very often they try to bargain about the products. Even the fixed price shops may find it difficult to convince them. It becomes very difficult for the salesman to deal with suspicious customers. They are not easily convinced and sometimes the salesman loses his temperament while handling them. However, he should not lose his patience. Rather, he must make every effort to convince them by giving all proof such as recommendations, testimonials, guarantees and references. If possible, actual demonstrations should be shown to convince them. Once their doubts are cleared and they are satisfied about the price, quality and genuineness of the product at a particular shop, they start patronizing that shop. Its very easy to deal friendly type customers. They generally have a friendly attitude towards the salesman. They enter the shops, meet and talk and behave with the salesman like a friend. These customers create a friendly atmosphere. Friendly type customers never mind a reasonable delay of the salesman. Usually, they do not bargain while purchasing and have a good faith in the salesman. Such customers even induce friends and relatives to purchase from the shop. A salesman can easily handle friendly type customers as they can be pleased easily. These customers should not be underestimated or misled because they are very intelligent. While talking, the salesman should try to draw their attention towards the products. A good number of varieties from different price ranges must be shown to them. Friendly customers usually never bargain over the price of products and happily accept what ever price is charged. They should be treated well by the salesman and greeted by the salesman whenever they enter the shop. The hesitant type of customers have undecided minds. They possess a wavering mind which is not steady and firm at all. A hesitation arises out of a number of factors like price differentials, quality variations, variety diversification and the fear of “authority to buy” coupled with suspicion to buy. They are left undecided when they are provided with a large number of varieties. In fact ‘variety‘ pushes a hesitant type customer into confusion. Sometimes, they are undecided because of not finding the exact goods or the size or the colour may not suit their taste or the price may be too high or they may want to consult someone and so on. These customers display their hesitation by their actions such as making gestures, frequently shifting eye from one product. In dealing with hesitant type customers, the salesman should be a bit more persuasive. The salesman should not show them too many varieties. Because of their indecisive nature, they should be provided with only limited varieties. Whenever the salesman finds the hesitant customers showing signs of favoring one item he should immediately try to close the sale. This type of customers should be informed about the price, quality and speciality of products to induce them to buy. The salesman should always try to help such customers to arrive at decisions. Some customers by their nature are impatient. They want to be attended to immediately by the salesman. Otherwise they get irritated. Some even leave the shop if the salesman does not attend on them immediately. They generally lack patience and show their displeasure when delayed. Impatient customer want immediate action from the salesman. However, once the salesman attends on theme they become his best customers. They do not bargain because they think it is a waste of time. They do not bother much about the article and its quality and are even prepared to pay higher prices. The salesman should be very prompt and quick in dealing with impatient customers. prompt service pleases this type of customers. When faced with a group of customers, the salesman should try to attend on these customers first. For his prompt action, he can charge a little higher price as it does not bother these customers. The salesman should not give long demonstrations and lengthy sales talks about the product to impatient customer. In short, the salesman should attend promptly, present quality products and be very brief with impatient customers. These are some customers who make silly, meaningless and insulting remarks. They find pleasure in insulting the salesman. They are the dangerous customers. They make the salesman very irritated. This type of customer feels proud of exhibiting their sense of irony. While handling sarcastic type customers the salesman has to be very careful. The teasing statements made by the sarcastic buyers must be ignored by the salesman. He should concentrate on selling the goods rather than arguing with them. He should never try to correct them because they are non-curable. He should keep a quiet and calm attitude. A word of praise for their wits naturally clams the customers. He should politely put forth the sales proposition before the customers. This type of customers are pompous and have a very high opinion about themselves, because of their talent, knowledge, wealth, official status, social status, family background, etc. They yearn for respect, compliments and recognition. They think they are the masters of everything and that others have to learn many things from them. Pompous type customers generally feel very happy if they are praised. They are also egoistic and self-centered. To show their status and taste, they purchase costly and special articles. They never mind high prices. Perhaps the pompous type of customers are the easiest variety to deal with. A little praise and flattery can do wonders. The salesman should try to flatter and compliment them as if they are lords. The salesman can sell costly and rare articles if he is an expert in flattering. Sometimes, additional purchases can he pushed upon them and this type of customers never say no as they are prestige-conscious. Such customers also never bargain and never worry about the price because they feel it is below their dignity to do so. They should be praised and admired at each step. In short, these customers are safe customers for the salesman. There are certain customers who are ill-mannered and rude. They get annoyed about petty matters. This type of customers can be marked easily by their way of speaking and action. Their ill-manners are usually influenced by lack of education, family atmosphere, friends circle, financial conditions, etc. Rude type customers can be easily identified by their tone and language used. They never bother about others’ feelings, they use unparliamentary language and look down upon everything and have a massive ego. They want full freedom in the shop and if objected, talk harshly. They very often make strong remarks about the salesman. In dealing with ill mannered and rude customers, the salesman should avoid arguments with them. The salesman should never try to correct them because they are non-curable. The salesman has to tolerate their rude remarks with patience. He should politely explain the selling points about the goods to them. Even if they make insulting statements about him, he should pretend to ignore their behaviour. Handicapped consumers are those who suffer from some physical defects. They may be deaf, dumb, blind, lame, may have defective speech, etc. Such customers are very sensitive and deserve special care, attention and a kind treatment from the salesman. These customers should never be ignored. They like to be treated as normal persons. The salesman must have sympathy and respect towards handicapped customers. They should be given a special treatment so that they feel gratified. Once they are satisfied with a particular shop, they buy from that shop regularly. However, a salesman should never express his sympathy for their physical defects. Rather he should treat them as normal persons. By giving special care and attention, the salesman also earns a goodwill for the firm. Other customers present in the shop generally get impressed too. The salesman must adjust himself to deal with handicapped persons. For example, he can raise his voice for deaf customers, he can use sign language for dumb customers, he can carry goods to lame persons who cannot come to the counter and so on. There are some customers such as business executives and administrators who are used to taking quick decisions. They are usually impatient. Because of the preoccupation with their own problems, they are not able to pay attention to the products. They even do not bother about the features of the product and the sales talk of the salesman. They walk quickly, move fast and also get bored easily. While dealing with such type of customers, the salesman must be brief. He should avoid talking in detail about the product. The articles must be quickly delivered and disposed off promptly. Otherwise, they get bored and may leave the shop. The salesman has to deal with such customers in a friendly manner but with dignity. These customers are easy to deal with and they do not bother much about price and avoid bargaining with the salesman. It is common to find groups going to shops for making purchases. In fact, now-a-days, it has become a fashion to purchase in a group. For example, a family shops together, a group of college students or colleagues from an office shop together. This type of group shopping is popular among ladies also. They move from shop to shop to choose their requirements and do not get bored easily. Sometimes, they bargain and ask for discount. 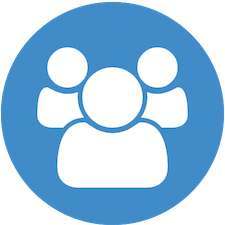 In dealing with such group shoppers, the salesman has to give more importance to the group leader. The group leader usually has greater voice in making a purchasing decision. However, he should never ignore or neglect the company. Rather he should try to make all of them happy. The ‘money payer‘ must be given due weightage because of his decision making capacity. Classification of Customers on basis of Area, Purpose of Buying | How to deal with them?